Roy Stanley Benson was born on 7 December 1906 in Concord, NH. He entered the U.S. Naval Academy in 1925; he graduated and was commissioned as an Ensign in June 1929. Benson served on the battleship USS New York (BB-34) until December 1930, and then served three years on the destroyer USS Smith Thompson (DD-212) operating with the Asiatic Fleet. He was promoted to Lieutenant (junior grade) in 1932. In June 1934, Benson reported for submarine instruction at the New London Submarine Base, in New London, CT. After completing the course in December 1934, Benson subsequently served on submarines USS R-14, S-42, and S-27. Benson was promoted to Lieutenant in 1937. He served as an Instructor in Navigation at the Naval Academy from June 1937 to May 1939. One of the midshipmen in his navigational classes was Edward L. Beach, who would later serve with Benson during World War II. In June 1939, Benson joined the destroyer USS Hovey as its Executive Officer. In February 1941, he reported for duty on the submarine USS Nautilus (SS-168) also as its Executive Officer. Benson received a Letter of Commendation, with authorization to wear the Commendation Ribbon, for his role as Executive Officer and Navigator on board the USS Nautilus during the Battle of Midway. The Nautilus also received the Presidential Unit Citation for this engagement. He was promoted to Lieutenant Commander in 1942. After brief duty on the staff of Submarine Squadron 10, Benson assumed command of the submarine USS Trigger (SS-237) on 29 August 1942. Edward L. Beach would later credit Benson's leadership during the next four war patrols for restoring the crew's morale. Ironically, Benson's most far-reaching contribution to the submarine campaign against the Japanese Empire was the failure to sink the aircraft carrier Hiyō during his final war patrol as Trigger's skipper. This proved to be the "final straw" for Vice Admiral Charles A. Lockwood, the Commander Submarines Pacific Fleet (COMSUBPAC), who ordered the magnetic exploders be deactivated on the trouble-plagued Mark 14 torpedo. 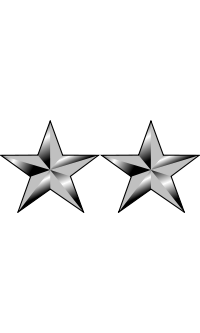 For distinguished service in command of the Trigger, Benson was awarded the Navy Cross, a Gold Star in lieu of a second Navy Cross, a Silver Star Medal, and a Gold Star in lieu of a second Silver Star Medal. Trigger also received the Presidential Unit Citation. He was promoted to Commander in 1943. Relieved of command of the Trigger in July 1943, he was placed in command of the Prospective Submarine Commanding Officer's School at the New London Submarine Base. From June to October 1944, Commander Benson commanded the submarine USS Razorback (SS-394) and later commanded Submarine Division 43. Benson led a wolfpack consisting of Razorback, Trepang (SS-412), and Segundo (SS-398) that set sail on 5 November 1944. Operating in the Luzon Strait and the South China Sea, a convoy of seven escorted merchant ships was sighted and the three submarines made night attacks, sinking all of the merchant vessels on 6 December. Benson led another wolfpack consisting of Razorback, Segundo, and Seacat (SS-399) that set out for the East China Sea on 1 February 1945. Razorback sank four wooden ships in three separate surface gun actions and deposited three Japanese prisoners at Guam. Segundo attacked Japanese shipping off the Korean coast, sinking a cargo ship on 11 March. Seacat attacked Japanese shipping off the coast of Kyūshū. For outstanding services while in command of Submarine Division 43, Benson was awarded the Legion of Merit. Detached from sea duty in July 1945, Benson reported for duty in the Operational Readiness Section, Headquarters of the Commander-in-Chief, U.S. Fleet, at the Navy Department, in Washington, DC. He was promoted to Captain in 1945. In March 1947, Captain Benson was ordered to duty on the Staff of the Commander, Submarine Force U.S. Atlantic Fleet, as Readiness and New Developments Officer, becoming its War Plans and Intelligence Officer in 1948. In March 1949, Benson became the first Commander of Submarine Development Group Two (COMSUBDEVGRU Two), tasked to conduct ASW research and development, when that unit was commissioned on 9 May 1948. In this capacity, Benson was responsible for the evolution of early post-war submarine tactics code-named Project Kayo. Commodore Benson remained in command of COMSUBDEVGRU Two until August 1950. After serving a two-year stint as the Director of Public Information, Office of Information in the Pentagon, Benson attended the National War College from August 1952 to June 1953. From July 1953 to June 1954, Benson commanded the attack transport USS Bayfield (APA-33) with the U.S. Seventh Fleet and, from August 1954 to August 1955, was the Commander Amphibious Squadron Six with the Sixth Fleet operating in the Mediterranean. In September 1955, Benson was assigned to the Bureau of Naval Personnel and, on 8 August 1956, became Assistant Chief of Naval Personnel (Education and Training) with the rank of Rear Admiral. On 2 May 1957, Rear Admiral Benson assumed command of Cruiser Division One in Yokosuka, Japan. In June 1958, he became Deputy Commander-in-Chief of Staff, Military Sea Transportation Service, with headquarters in Washington, DC. In March 1960, he assumed command of the Submarine Force, U.S. Pacific Fleet (COMSUBPAC), with headquarters at Pearl Harbor, HI. From September 1962 to June 1966, Benson was Assistant Vice Chief of Naval Operations and Director of Naval Administration, Navy Department, after which he served as director of a special task force until February 1969. In April 1967 he reported as Commandant of the First Naval District, with additional duty as Commander of the Boston Naval Base. Rear Admiral Roy Stanley Benson retired on 1 January 1969. "I think submariners fared very well indeed in the peacetime years; not because they were submariners, nor in spite of it. They simply did a good job in other assignments." In 1949, Captain Roy S. Benson married the former Vida Wimbrow Connole (1917-1965) of Annapolis, MD, widow of Commander David R. Connole who was the last Commanding Officer of the submarine Trigger which was lost off Japan in March 1945. Mrs. Benson was the sponsor at the launch of the new post-war submarine Trigger, with Edward L. Beach as its first commanding officer, on 14 June 1951. 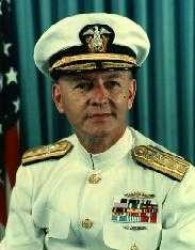 Rear Admiral Roy S. Benson died on 7 February 1995 in Washington, DC. He is buried at the U.S. Naval Academy Cemetery in Annapolis, MD. His wife, Vida, preceded him in death in 1965 and they are buried together. They are survived by Rickart Alan Connole (b. 1944).